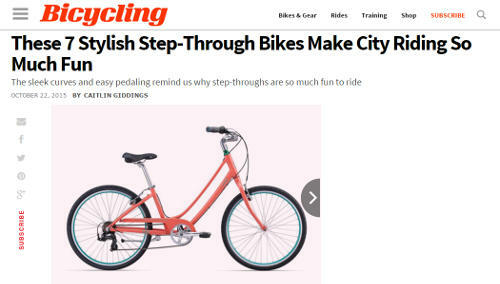 Bicycling Magazine recently published an online article, "These 7 Stylish Step-Through Bikes Make City Riding So Much Fun." 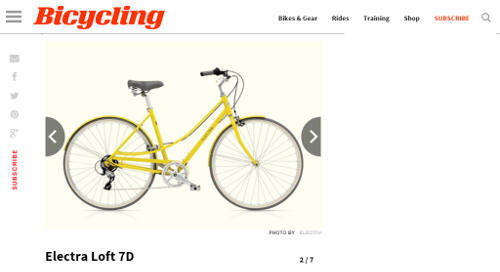 Two of the seven featured bicycles are in stock at Century Cycles! The Liv/giant Suede 2 "with 8 speeds and geometry that allows a rider to sit on the leather saddle while her feet are resting on the ground, the Suede is great for jetting to work or just cruising around town. Extras like a chain guard to protect your pants make the bike a convenient commuting option." 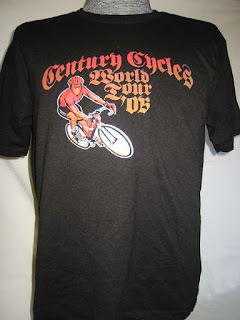 Which "classic" Century Cycles t-shirt is your favorite? For years before our popular "Define your life. 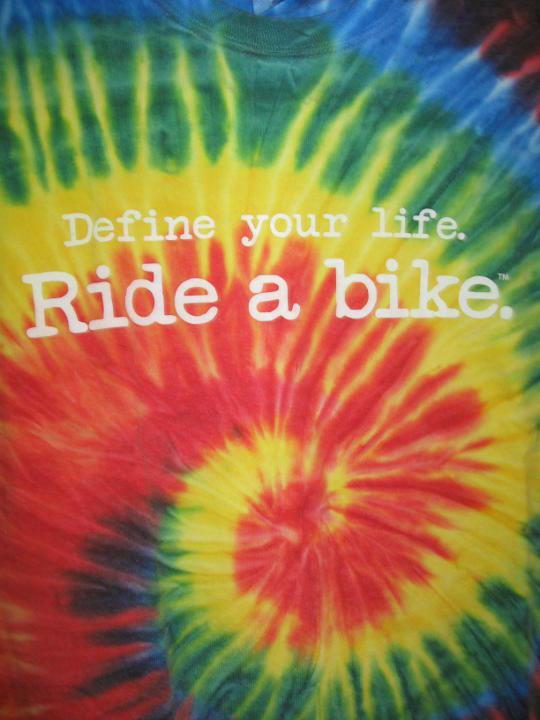 Ride a bike. 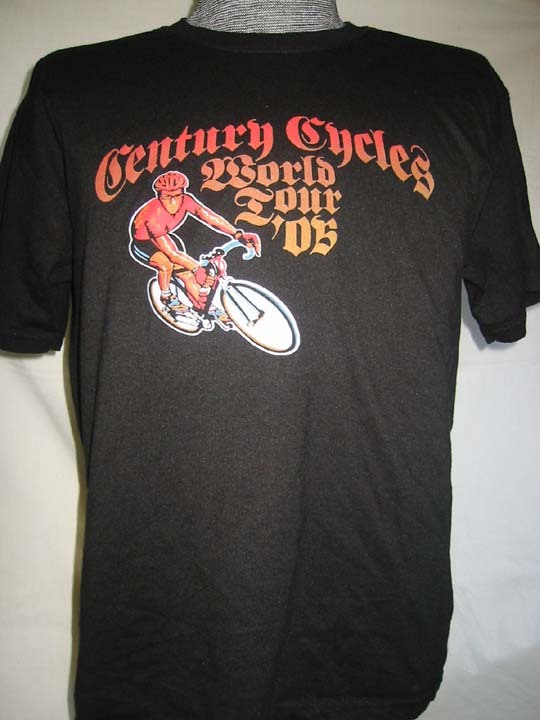 (tm)" t-shirts were around, we had many other popular (and sometimes controversial) t-shirt designs. And remember, our latest t-shirts are still FREE with every new bike purchase! Last month, we wrote on this blog about Norm Wengerd. He's the CEO of Gentle Brook, a non-profit based in Hartville, Ohio that provides services for the developmentally disabled. 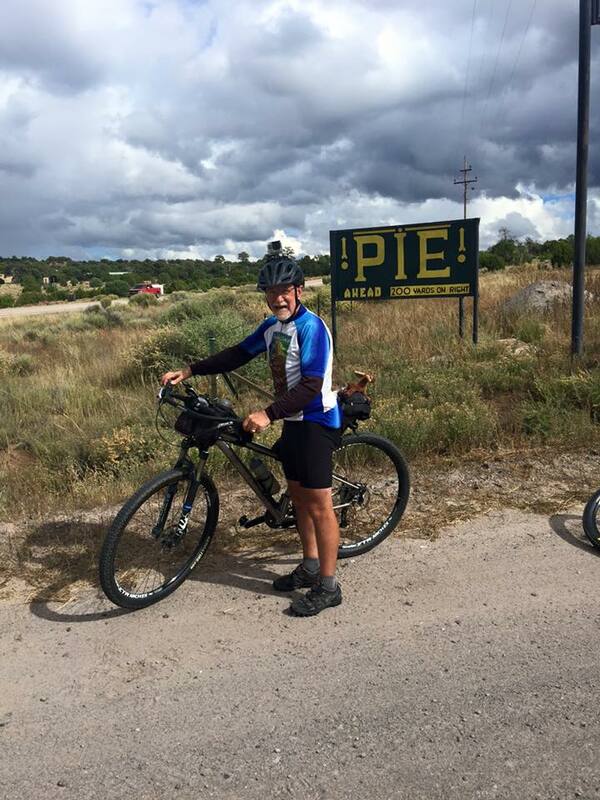 In late August, he began a trip on the Adventure Cycling Association's Great Divide Mountain Bike Route to raise funds and awareness for his organization. The mostly off-road route begins in Banff, Alberta and traverses over 2,800 miles through the Rocky Mountains through British Columbia, Montana, Idaho, Wyoming, Colorado, and New Mexico to end at the US-Mexico border. 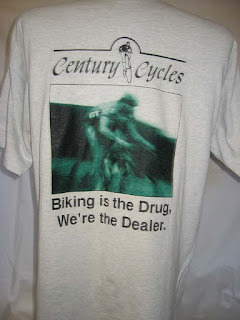 Norm rode his Salsa Cycles El Mariachi Ti 29er mountain bike. 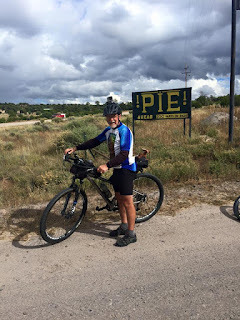 In preparation for the trip, we helped him get the bike optimally set up with our Bicycle Fitting Service, as well as outfitted him with new tires and spare parts to take along on the trail. 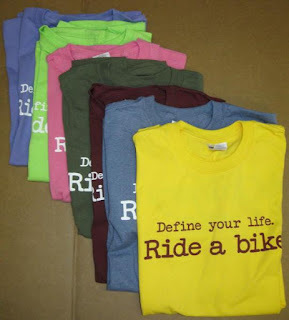 Summit Metro Parks Summer Biking Spree - Raleigh bike winners! Congratulations to Bob & Yvonne Lee! They are the winners of the drawing we held in the Century Cycles store in Peninsula among the many entries received in the Summit Metro Parks Summer Biking Spree! 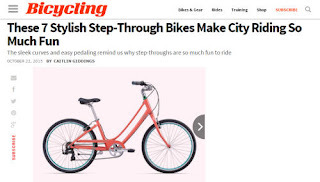 The bicycle is a Circa hybrid bike, provided by Raleigh Bicycles, perfect for their continued explorations on our local trails! 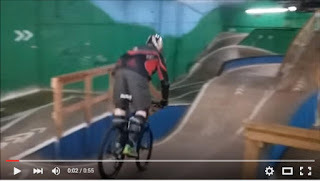 A few of the CC staff went to check out Ray's Indoor Bike Park in Cleveland on Friday evening. As always, the staff at Ray's was busy over the summer season adding and enhancing the features throughout the park, so there's something new for everyone. Pearl Izumi pioneered visibility for bicyclists over 20 years ago with their "Screaming Yellow" jacket that continues to be popular to this day. 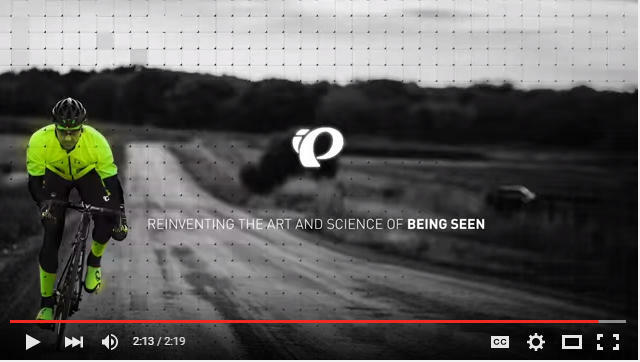 New for their Fall 2015 collection (now in stock in our stores), the BioViz technology uses human biology to reinvent the art and science of being seen. 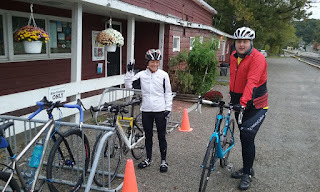 Thanks to everyone for a great season of Sunday Service Group Road Bike Rides! 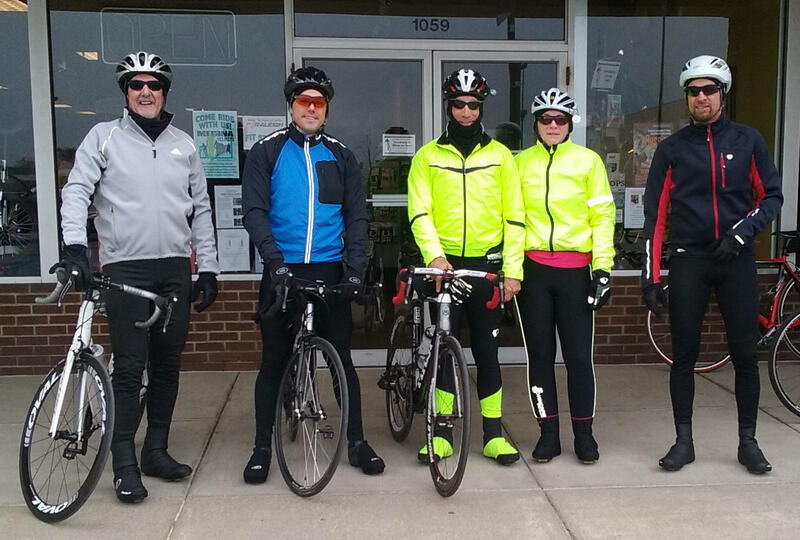 In Medina this past weekend, we had seven riders for our final Sunday Service Group Road Bike Ride of the 2015 season, including store staff members Cathy, Ed, and Don. 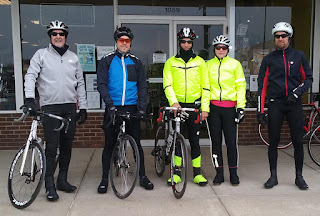 It was a chilly 37 degrees at the 8:00am ride start, but everyone was bundled up to enjoy it! Thanks to everyone who came to our Sunday rides at all three Century Cycles stores! 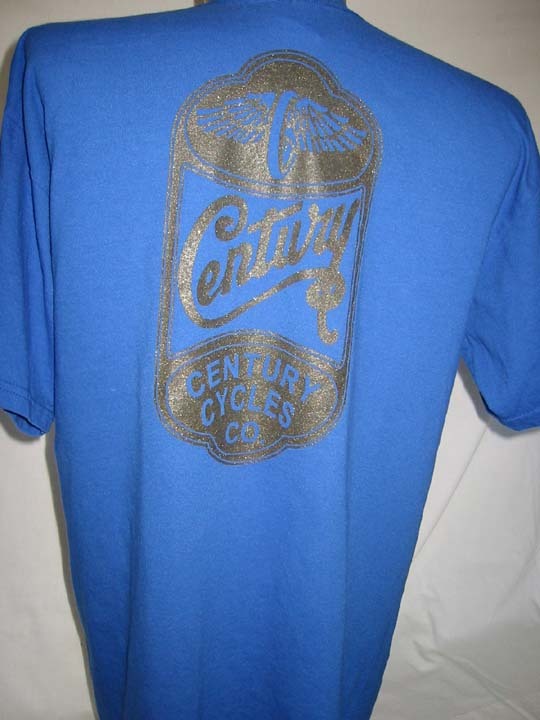 Look for our schedule of 2016 rides at www.centurycycles.com/for/SundayService in the near future! We've got a number of NEW products in stock in all three Century Cycles stores from winter bicycling specialists 45NRTH. The 45NRTH Japanther is the "cool-weather" cycling shoe, great for cyclocross racing, cold weather mountain biking, fair weather commuting, and a shoe for the more hearty winter commuter. Featuring waffled foam and reflective aluminum insole to trap heat, with sculpted wool felt for arch support; real rubber sole with anti-slip micro-glass filament lugs. Compatible with Shimano SPD and other 2-bolt cleats. The 45NRTH Wolvhammer is the serious cold weather boot that's also compatible with SPD and other 2-bolt cleats. Note that it's completely re-designed from last year's version. Improvements over last year's are the elimination of the separate internal liner with its own laces, removal of the outer zipper, and removal of the D-ring on the strap that was hard to get the strap in and out of. It's the go-to cycling shoe for fat bikers and snow bikers, winter racers, and serious year-round commuters. Unique featuresare the NASA-designed aerogel insole to block the cold from being transmitted from the cleat to your feet, and the Vibram rubber sole (just like on your best hiking boots). The 45NRTH Cobrafist is a technically advanced handlebar mitten, or "pogie." Constructed with a durable and wind resistant 600d poly outer shell, Primaloft gold eco 400-gram insulation, and zippered vents, Cobrafist puts unrivaled comfort and control into your hands. A technical handlebar attachment system includes a foam donut that seals the handlebar and cable closure, while also keeping each pogie in an upright position. Water-resistant zipper vents on top and bottom provide temperature regulation when it gets too warm, and an inner pocket makes stowing extra food and gear simple and accessible. Also in stock are the 45NRTH Dozer and 45NRTH Greazy cycling caps. Both made of merino wool for warmth even when wet, odor control, and natural moisture management. 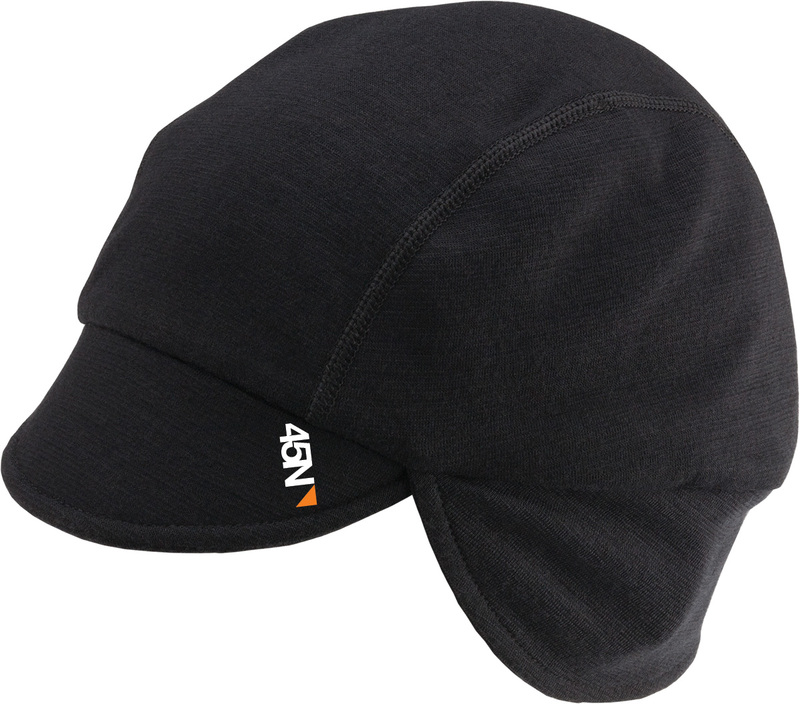 And when things get REALLY cold, put on the 45NRTH Lung Cookie Balaclava for full-face merino wool coverage! Cole & Elizabeth, aka the "Switchback Kids," are a 26-year-old couple from St. Louis, Missouri. 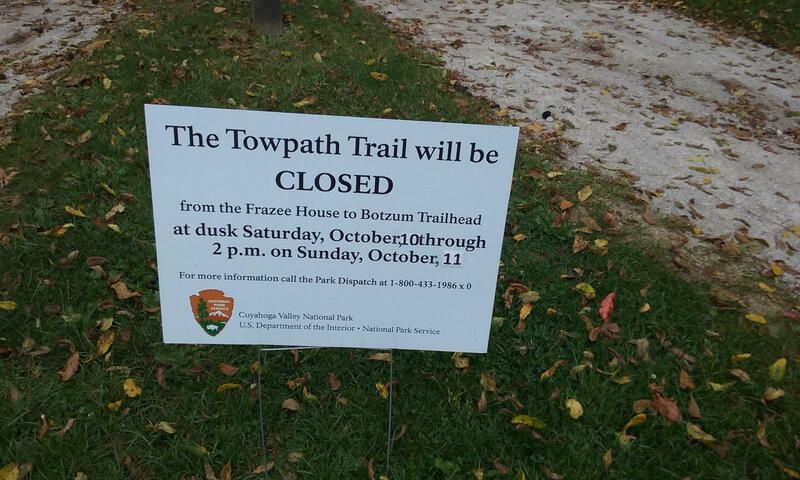 They decided to take a year off their jobs (he, a health care IT consultant, she, a 6th-grade teacher) to travel the United States to visit EVERY national park! They spent 4 days in the Cuyahoga Valley National Park, including camping out in some of the very frigid weather we had over the weekend! On the last day (and the 59th day of their trip), they saved "the most iconic Cuyahoga-y activity" for last -- biking the Towpath Trail! We were happy to help with our Towpath Trail rental bikes at the Century Cycles store in Peninsula. 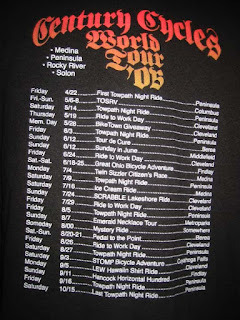 National Bike Challenge Concludes - Rust Cup Stays in Cleveland! 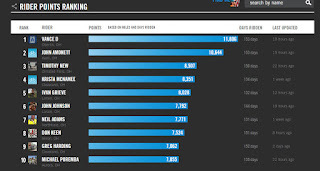 The National Bike Challenge, organized by People for Bikes, concluded on September 30. 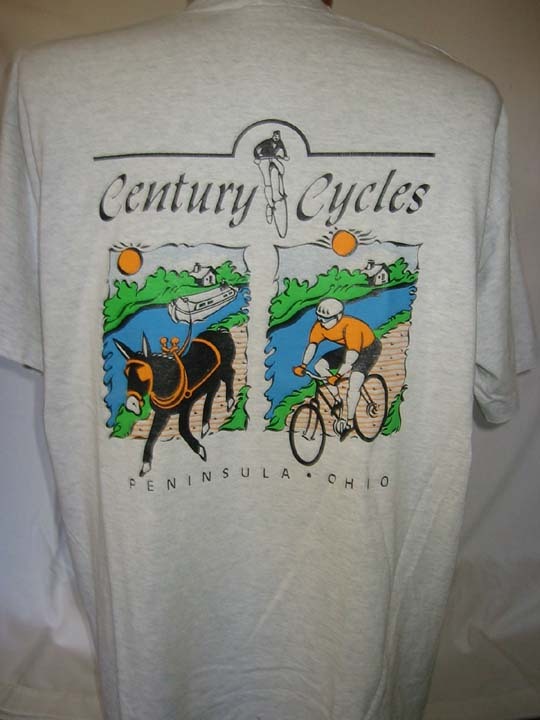 Congratulations to all Cleveland-area cyclists! We did it -- we beat Pittsburgh! Thanks for riding and logging all of your miles to keep the Rust Cup in Cleveland for the second year in a row! 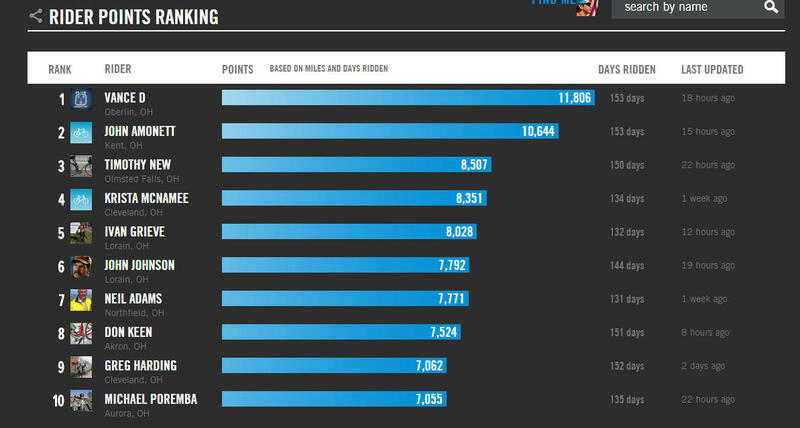 Congratulations to ALL teams for the effort! Thanks to all of our staff and team members for riding and participating! We could not have done it without the efforts of two individuals in particular. 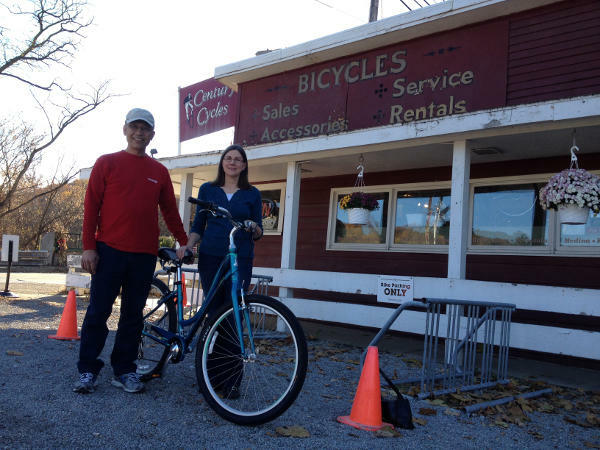 Krista McNamee, from the Century Cycles store in Rocky River, rode an astonishing 5,671 miles during the 5-month challenge period, placing her as the #4 rider overall in the Cleveland area, the TOP female rider, and the ONLY female rider in the Top 10! Great job, Krista! 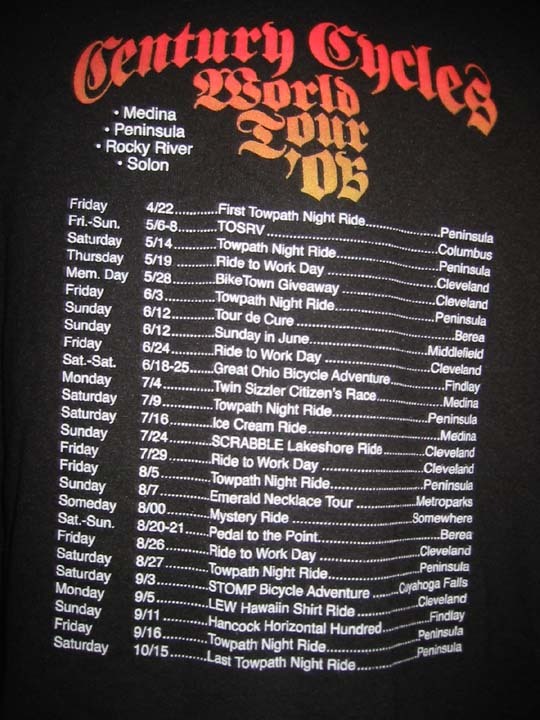 Also, team member and former Century Cycles staff member Neil Adams came in #7 overall in the Cleveland area with 5,151 miles ridden during the Challenge! Woo-hoo, Neil! By the way, Krista and Neil do a lot of their riding together with a few other friends. They have ridden all over Northeast Ohio, including the popular Ashtabula County Covered Bridge Loop, many of the Pedaling to Lunch routes, and many more routes of their own creation. 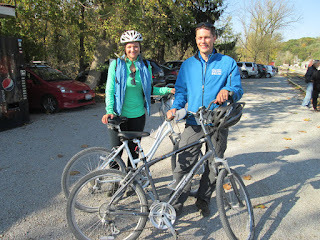 So if you're looking for advice on where to ride your bike, talk to Krista or Neil! 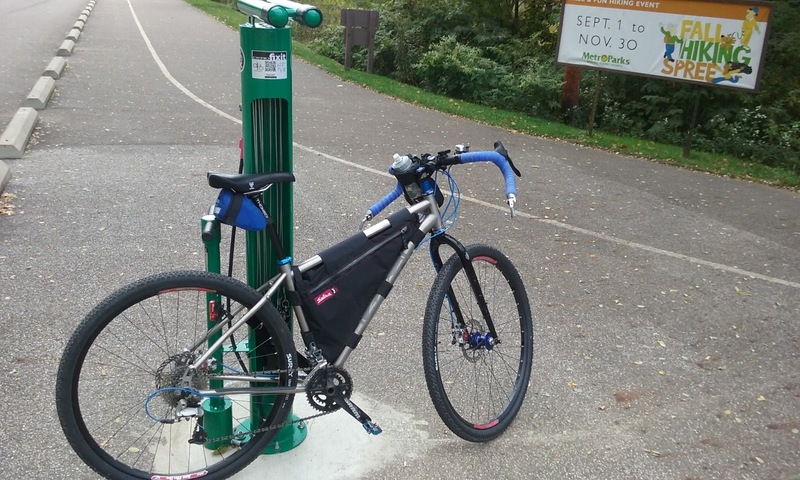 Earlier this year, we reported on the new FixIt bike repair stations installed by the Summit Metro Parks, and helped out with coverage by 19 Action News. 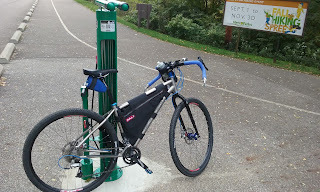 The Cleveland Metroparks also have a FixIt station at the Bedford Reservation and are expanding to other locations, as well, including most recently the North Chagrin and Rocky River Reservations. There's also a new one in downtown Akron, on the Towpath Trail near the entrance to the Richard Howe House. to view it on Dero's web site. 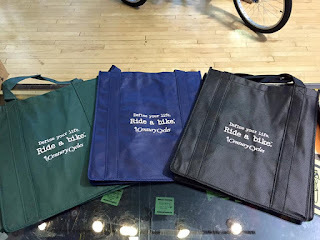 Bike Lakewood is a chapter of Bike Cleveland, and they want to gather your thoughts on Bike Lakewood and biking in Lakewood, Ohio. Their goal is to make Lakewood a place where all people can safely and comfortably ride a bike to a park, library, store, restaurant, or anywhere else. This is their yearly survey that they use to inform their advocacy and planning. Thank you for your help! 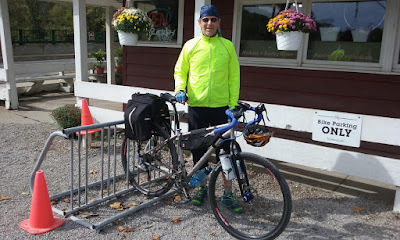 Last week, I (Kevin) took off for a bicycle tour on the Ohio to Erie Trail, the 350-mile route from Cincinnati to Cleveland. 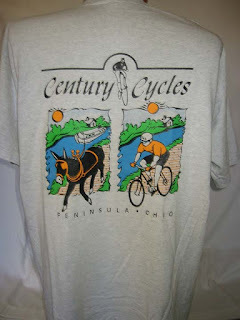 After five days (including one rainy day), lots of headwinds, and two flat tires, I am proud to finally be an official member of the Century Cycles Bicycle Touring Photo Gallery, since I stopped to say Hi to my co-workers in the Peninsula store on Friday. Look for a full report of my trip here soon!